I headed outside for some fresh air. I drove up and examined the center pivot from close up… still no power… and a few other things left to do… but I must say it is impressive. 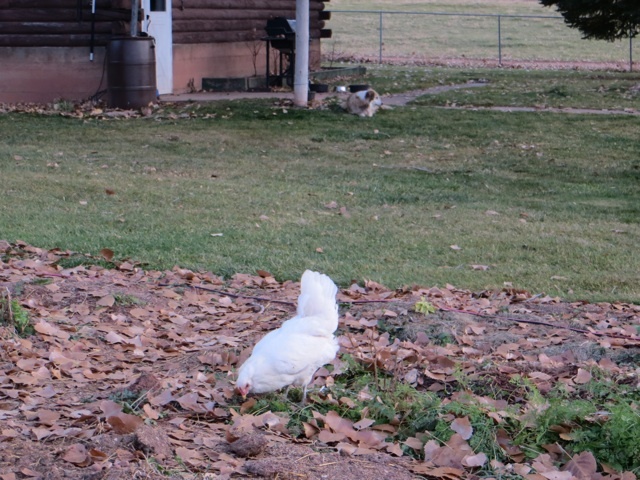 I then decided I better keep working on my garden cleanup… so I chopped the corn stalks down. Then I felt like I wanted company. Sure, Elsa and Lucas were nearby (Dally was in the house… she’s coming in heat), but I wanted something else. So, I grabbed some small twine. Then I grabbed a chicken. MY, she thought she was gonna die! 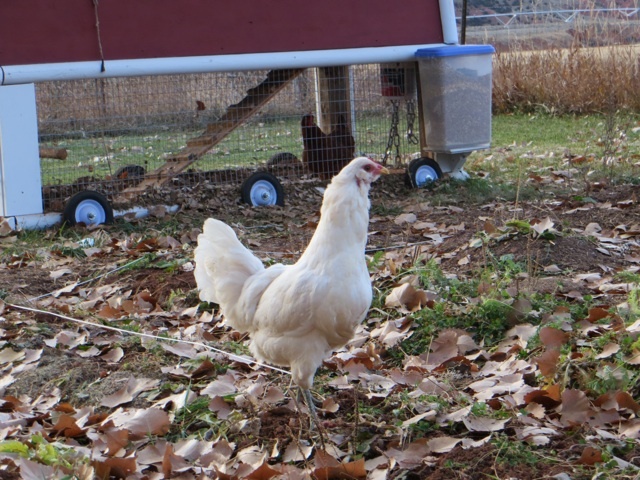 I’ve probably set back egg production, but I went ahead and put a picket line on her leg, though I didn’t stake her, and turned her loose while I worked in the garden. She thought that was just ducky! It’s time for another Q&A… Just in case there’s some questions out there I haven’t answered yet! Drop a question in the comment section and I’ll answer them in a few days! November 5, 2008 No entry.